vs.5 Jesus came to the Samaritan town called Sychar, near the land that Jacob gave to his son Joseph. vs.6 Jacob’s well is there and Jesus, tired by the journey, sat straight down by the well. It was about the sixth hour. vs.8 His disciples had gone into the town to buy food. vs.9 The Samaritan woman said to him, “What? You are a Jew and you ask me, a Samaritan, for a drink?” – Jews, in fact, do not associate with Samaritans. vs.11 “You have no bucket, sir,” she answered “and the well is deep: how could you get this living water? vs.19 “I see you are a prophet, sir” said the woman. vs.21 Jesus said: ‘Believe me, woman, the hour is coming when you will worship the Father neither on this mountain nor in Jerusalem. vs.22 You worship what you do not know; we worship what we do know: for salvation comes from the Jews. vs.23 But the hour will come – in fact it is here already – when true worshippers will worship the Father in spirit and truth: that is the kind of worshipper the Father wants. vs.30 This brought people out of the town and they started walking towards him. We have four sets of homily notes to choose from. Please scroll down the page for the desired one. Thomas O’Loughlin: Professor of Historical Theology, University of Wales. Lampeter. This Sunday’s reading is very long; I suggest that you use the shorter version for your meditation (verses 5 to 30). Jesus leads the woman along a wonderful journey towards a deeper, more human life. You can enter into the story from the perspective of the woman – when have you (or someone you know) made a similar journey in your relationship with God, with others, with your own self? Recognize the woman’s resistance to growth, her complacency, her evasions, and her eventual acceptance, partial though it was, of Jesus. You can enter the story with Jesus, the ideal leader, parent, teacher or spiritual guide. Notice how he meets the woman where she is, needing her assistance; how he is patient with her but also challenges her to grow to what she is capable of. – Verses 2 and 3 : At first the woman is content with the water she draws from the well. Jesus very gradually leads her to search for another kind of water which has two characteristics: when you drink it you do not get thirsty again, as it comes from a spring inside of you. Enter into the metaphor so that you can recognize the spiritual journey it evokes for you. When have you experienced Jesus guiding others in this way? – Verses 15 to 24, and 29 : Here the journey is the woman coming to trust Jesus as Messiah because he leads her to self-knowledge: “He told me everything I ever did.” Recognize spiritual growth as that kind of journey, with Jesus as guide. Situate the story in the context of Lent, thinking of all those who will experience conversion and growth at this season, those who will be received into the Church community on Holy Saturday night, or who will take part in Lenten missions. 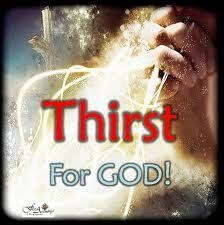 Lord, the world is thirsting for living water. – compromise their principles for popularity. because it comes from a spring inside them and wells up to eternal life..
– that we are Jews and they are Samaritans. – those who have no power and yet influence thousands. It seems at first that they are thirsty and we have access to wells . and they have it to give us. Thank you, Lord. and those who worship must worship in spirit and truth. so that we had a fleeting experience of meeting the Christ. The assumption of these resources is that the community is not celebrating the Rite of Christian Initiation of Adults process; if it is, then its liturgy will differ from that in the Missal (pp. 96-7) and have its own specific requirements. During Lent we reflect on God’s loving mercy: he comes to us as sinners with the offer of new life, he puts no limit on those to whom he offers his love and forgiveness, and he bids us to do the will of the Father. 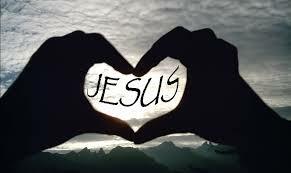 Christ is offering us now his love and forgiveness. Let us recall that we are in his presence, let us recall our need, let us ask him to give us new life and pour into our hearts the Holy Spirit. 1. Lent is a time for the whole community to prepare to celebrate new life that arises from water: which cleanses, renews, and enlivens. It is a preparation for a renewal by the whole community of its allegiance when we declare that ‘we know that Jesus really is the saviour of the world’ in the renewal of baptismal promises at the Easter Vigil. 2. It is also a time when we reflect on our trust and hope in God: the people were tested by God to see would they call to him as the saviour. How would we fare in that test, or is our trust and hope elsewhere? From whom or from where do we draw life? This question can be answered on several levels. Maybe we draw life from our spouses as we experience their love. Perhaps we draw life from our children whenever we rejoice in their talents and achievements. We may draw life from the fulfilment and satisfaction provided by our work that makes a real difference to the quality of life for us and for other people. Or we may draw life from our hobbies that renew our enthusiasm for life. 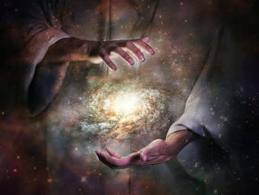 However, on a deeper level — that of the depths of our being — from whom do we draw life? For Christians, there is only one completely satisfactory answer to this question. Christians believe that God is the sole author of life and that they draw life in all its fullness from God, in and through his Son Jesus Christ. The fountain of living water is to be found with Jesus: a fountain from which eternal life gushes. We all share in the fruits of this living water because, through baptism, we share in the death and resurrection of Christ. We have become his brothers and sisters and, together in the Church, we are God’s family on this earth nourished by the real presence of Christ in the Eucharist. During Lent, even as we fast and do penance, we are challenged to rediscover the person of Jesus from whom we draw life, the only life that ultimately matters. Therefore, we need to pray to God asking that Jesus, the living water, may strengthen us in our weaknesses. If only we could drink once again with pure hearts from the fountain of life, hearts that have been renewed by a true spirit of repentance and reconciliation. When we respond to the loving presence of the God in our lives, we learn to love and respect other people. 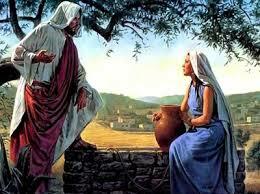 Like most people, the Samaritan woman whom Jesus met at the well was seeking life and the truth. Yet she was unknowingly speaking to the Life and the Truth. 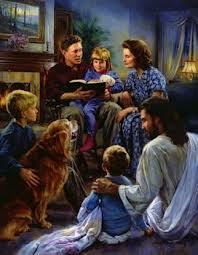 Jesus offered to make a real difference in her life while she listened attentively to his words. We can make a real difference to others and ourselves by listening attentively to the word of God, the true fountain of life, and by living according to its message of hope and life. Therefore, let our prayer for today and always be: God our Father, we draw our life from you. You are the fountain of life. Your word is living water without which we die. Enable us, through the death and resurrection of your Son and through the inspiration of your Holy Spirit, to grow in love and understanding. Accompany us on our journey through life, so that we may go with confidence into your world as a new creation — one body drawing life from the one fountain of life — so that the world may believe. 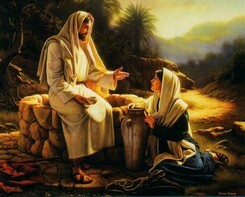 A famous picture has the Samaritan woman looking into the well and seeing there her image – and the image of Jesus. In the depths of the well of her life is the presence of Jesus. In the depths of the well, when we are in love, pain, death, decision, joy, we find God. God is near when we are near to our­selves, even in shame and sin. We thirst for meaning in life, for knowing we are totally loved, for community and companion­ship – and God offers all this. This is the offering of God – the living water is the Holy Spirit. We thirst for inclusion – the disciples in this story did not want Jesus talking to a woman. So much of the religion of the time separated people. In the depths of the well we are all equal. We find the mercy of God in the well. As we go into the depths of prayer and ourselves we are open to mercy. We may put con­ditions on God’s mercy – naming our sins, or numbering them. At the bottom of the well is the water of mercy. 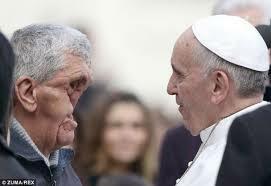 Of the mercy of God, Pope Francis says that ‘there is no sin or crime of any kind that can erase from the mind or heart of God even one of the children he has created’ (November 2013). Imagine yourself looking into a well; see the face of Jesus looking at you from its depths. He looks at you with love. Lord, send me the living water of the Holy Spirit.